“Dress as we wish to be addressed”? Personally, I can’t wait until the next meeting. There’s such an exciting call-to-action here. I might even polish my shoes! Given that you can watch Ashley Hutchinson’s excellent presentation from our YouTube channel below, I’ll just summarise with Ashley’s key learning points. Don’t give up. If you have a dream you may actually achieve it, even when it feels like it’s slipped away. Watch the presentation to see how Ashley was led to that conclusion – you’ll be inspired. My summary would be that any stumbling block can be turned into a stepping stone to better things if we have the right attitude and our eyes open to new opportunities. With this attitude and perceptual filter, setbacks become springboards. Oh – with reference to the YouTube link that follow, kindly ‘like’ plus ‘subscribe’ plus click on the bell for notifications of future videos. Hugh has a wonderfully gentle way of kicking you in the solar plexus. His statement, which has become our Quote of the Month for our Solstice group is one of the most powerful calls-to-action I’ve ever heard. How clear, confident and appropriate? Therefore, let me share just a few quick notes. If I weren’t ambitious for us to become a close-knit community that watches one another’s backs, I wouldn’t say this, however, I think we can create a tribe that will achieve something awesome in Dorset, Hampshire, and Wiltshire. To do that, we must think in terms of ‘we’ not ‘I’. This is me saying this, not Jacqui! Becoming a ‘movement’ or a ‘tribe’ requires mutual understanding and commitment to one another’s wellbeing. For example, I know from experience that people like Chris Wilkinson are actively looking out for ways to introduce members to outside businesses. You will here in Ashley’s presentation and on LinkedIn how he joined us through the advocacy of Ian Skinner. Firstly, I’d love someone else to feel free to do the follow-up blog! This is your chance to put your frame on the event. History, after all, is written by those who write about it! Put your stamp on the message! Secondly, I have to SHOUT out loud my ongoing gratitude to Justin Wharmby. I have never met a professional photographer who is so efficient and effective and unassuming. It would be natural to think he is paid for the excellent photos he captures, processes, and sends to me so quickly. He is not paid. I would like to see us express our gratitude by investing in his photographic skills in return for payment. He is a professional property, portrait, and event photographer. If you need photos, call Justin and make my day. Thirdly, I shoot the video free-of-charge for utterly selfish reasons! It is my ‘Memory Backup’ so that I can be fully engaged in the meetings and so that I can do a fair job of writing a blog that accurately represents what you really said when you deliver a keynote for Jacqui. 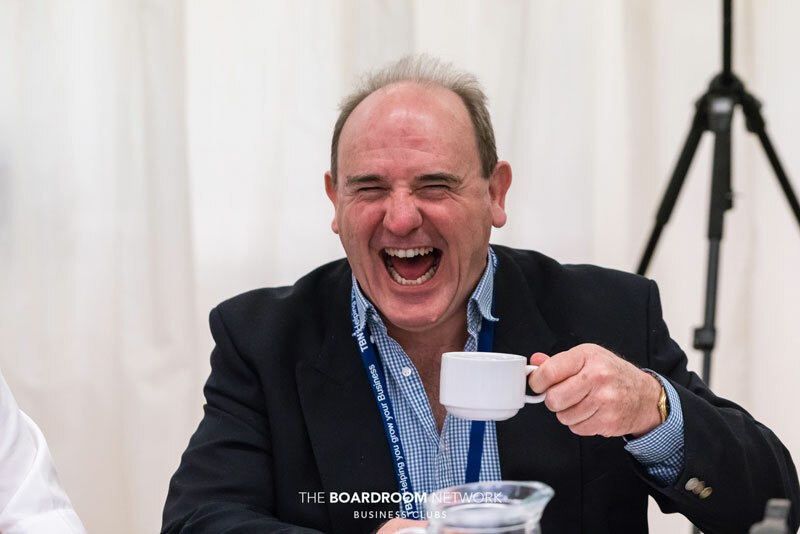 I am not an employee of The Boardroom Network – although I am a passionate member of the team alongside Jay! [The Boardroom Education is my joint-venture with Jacqui, not The Boardroom Network.] So, if you find the video valuable, know that this is not a ‘given’ but rather is a ‘gift’ of my time to you. As such, it is not guaranteed as an output from your presentation! 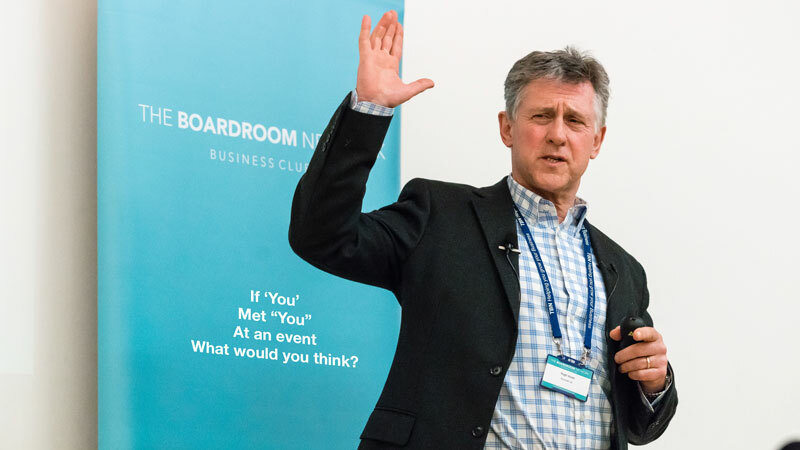 If anyone takes up my challenge to write the blog instead of me, I will provide video of the keynotes so that you can review the messages too and accurately represent the best interests of our valued members! The latest addition to making the network more valuable for members requires your help. Unsurprisingly, Slides Share dot Net is designed to share slides! It was bought by LinkedIn before the Microsoft takeover of LinkedIn and is very LinkedIn-friendly. You can use slideshare.net to host presentations and even brochure-like promotions of your brand, product, services, and personality. LinkedIn integrates very powerfully with this Ally, and I can show you how to add links to your [Summary] and [Experience] sections of your LinkedIn profile. In effect, this transforms LinkedIn into a search-engine-optimised multi-media brochure site for your business. One opportunity not to be missed! To make this easier in future, PLEASE send me your slides in advance of the presentation AND permission to promote you via our photos and videos and SlideShare. This is in your best interests. I want you to become even better known for the areas in which you wish to be recognised as an expert. 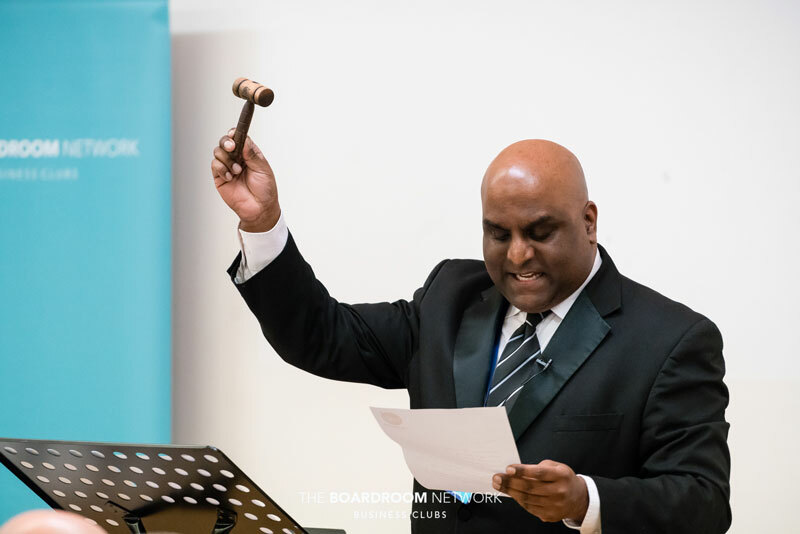 Now he has the gift of not one but two new gavels because of the generosity of our members.